For those living with constant pain from rheumatoid arthritis, popping pain pills (AKA:non-steroidal anti-inflammatory drugs…NSAIDS) throughout the day can easily become a dangerous routine. The problem is, these while these NSAIDS have their benefits, they can have severe long-term negative effects on your body. Daily use can, over time, mean dire consequences for your liver and kidneys. So, why not try to treat your pain with natural remedies? 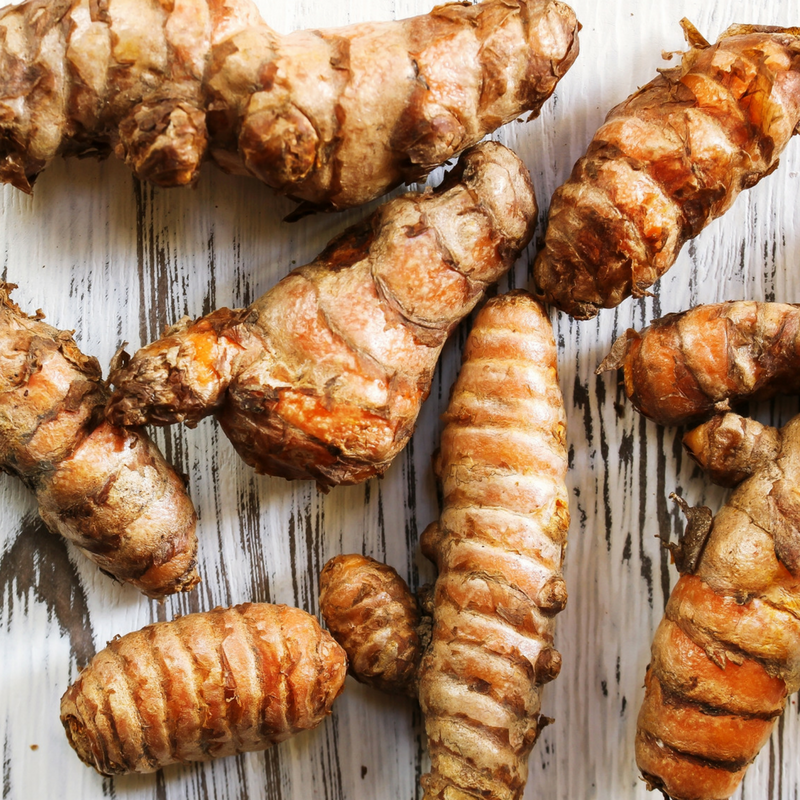 Turmeric has been touted as more effective for treating rheumatoid arthritis than drugs, and it had a laundry list of other benefits for your body, with no negative consequences to worry about. Hang on, What is Turmeric? Turmeric is a bright yellow spice that has gained momentum in Western culture over the last 25 years as a natural healer. It has been used in India (mostly for cooking) for over 4000 years and gives Indian curries their golden hue and unique scent and flavor. Turmeric comes from the root of a plant and is primarily found in powder form (though more bioavailable versions are made in liquid form as well). Curcumin is the active ingredient in turmeric that is responsible for many of its healing properties. Rheumatoid arthritis is defined as “a chronic autoimmune disease characterized by inflammation of the joints, frequently accompanied by marked deformities, and ordinarily associated with manifestations of a general, or systemic, affliction.” (1) This painful and uncomfortable condition usually manifests in both sides of your body, for example, if you have it in your right wrist you will likely also have it in your left one. Usually, rheumatoid arthritis manifests in the fingers, wrists, feet and ankles, but it can also attack softer tissues in places like your heart and lungs. It is estimated that: “At least 2 million Americans have definite or classical rheumatoid arthritis, a number that has been increasing in recent years. It is a much more devastating illness than previously appreciated.” (2) As this condition progresses, the sufferer is left with a marked disability, and there are no remissions with rheumatoid arthritis, you can manage the symptoms but you cannot cure them, as of yet. Turmeric to Save the Day! 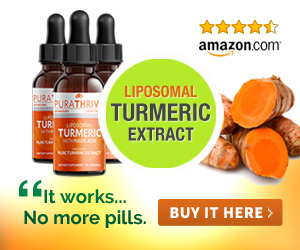 Dr. Mercola has treated a number of patients with RA using a method that he swore by for some time, however, he now references a study was done that tested patients that were treating their condition with drugs versus those that treated it with turmeric. “The study revealed that a highly bioavailable form of curcumin was more effective in alleviating RA symptoms, including tenderness and swelling of joints than the drug. Click here to find out why turmeric is always a better choice than NSAIDs. Not only that, those who were taking the curcumin only, actually experienced the most improvement across the board.” (2) Dr. Mercola also notes that turmeric is high in anti-inflammatory properties that lesson joint pain and destruction, thereby managing the key symptoms of RA. Additional research suggests that turmeric could actually be more effective at preventing joint inflammation than it is at treating it. Further study is needed on this subject, but its implications for those suffering from Rheumatoid Arthritis, or whose genetic predisposition leans in that direction, are hopeful. This could mean that by making turmeric a part of your routine prior to the start of symptoms, you could prevent the onset of RA, or at the least, you could prevent it from reaching the level of severity that it otherwise would. In addition to alleviating the pain from rheumatoid arthritis, turmeric can also trigger the body to initiate cell death for those cells that have deteriorated due to the condition. This means, that the cells that were surviving and replicating in their deteriorated form, are now eliminated, and the risk of increasing the damaged tissue is resolved. Curcumin, one of the active ingredients in turmeric, also works to protect the body from itself, it: “prevents the turning of immune system against one’s own body tissues by exerting protective effects on both the tissue and the immune system”. This means that, in those situations where the body recognizes the damaged cells as a threat and their immune system goes after the issue, turmeric protects both the joints and the immune system, returning balance to the body. Click here for 5 detailed ways in which turmeric takes on arthritis. Ask not what your body can do for you, but what you can do for your body. The answer: give it turmeric! As I said before, turmeric has a long list of additional benefits for your body; it can elevate your overall health and improve your quality of life. In addition to its anti-inflammatory properties, turmeric is also an antioxidant (which means that it builds up and supports your immune system), it improves brain health (and can actually help to prevent alzheimers), it can help prevent blood clots, it aids digestion, it prevents cellular concerns, it lowers bad cholesterol, treats viral infections, lowers the risk of heart disease, slows down and/or treats age-related chronic diseases, is beneficial for those struggling with mental health issues, etc. Turmeric has over 100 active properties that continue to make it popular for use in cultures around the world. There is no denying that a natural treatment is preferable to a drug, in the case of rheumatoid arthritis, but also for other chronic conditions and for day to day aches and pains (try a cup of turmeric tea next time you have a headache, it works better than Tylenol and it tastes great!). Not only can you avoid the long-term issues that drugs can cause for you, but you can reap the additional benefits that natural solutions have to offer – and turmeric has no shortage of those! 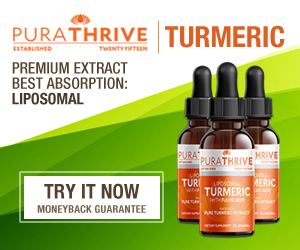 For a natural and extremely bioavailable turmeric supplement, check out Purathrive!